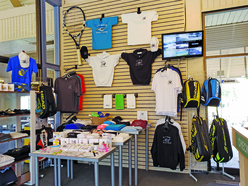 Welcome to the Seal Beach Tennis Center! 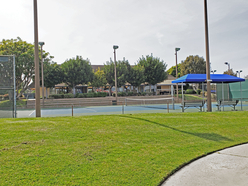 Located just a few miles from the beach, the Seal Beach Tennis Center offers one of the most beautiful tennis and fitness facilities anywhere. We are open to the public 7 days per week and offer programs and activities for all ages and skill levels. Our Center includes 16 tennis courts, 4 Pickleball courts, an indoor Fitness Center, a Pro Shop, a Clubhouse and full locker rooms. Ample parking is available. Please visit our SBTC Calendar of Events! 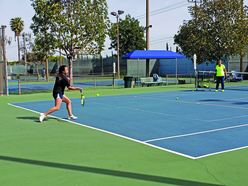 We offer an extensive tennis program and a wide variety of recreational and fitness activities to meet your needs. Our tennis program includes private and group lessons, the SBTC Junior Academy, Junior camps, leagues, social tennis, special events and more. 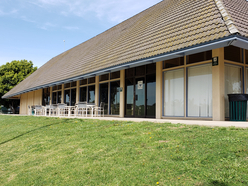 We have Pickleball courts and provide fitness programs in our clubhouse and fully equipped fitness center. Click here for more information on our many programs. 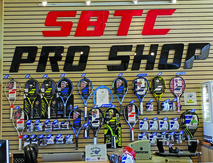 In our Pro Shop, we carry a wide selection of Babolat tennis racquets and accessories, Pickleball equipment, snacks and beverages, and provide a one day turnaround restringing service. We are home to a number of USPTA/PTR certified tennis instructors that can help you with any and all aspects of your game. We also have a ball machine available for rent. The SBTC is available for rent, consider our location for your family, work, or school functions and special events. The best way for you to enjoy the SBTC is to become a member. 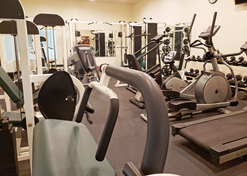 Members enjoy a long list of benefits that include unlimited court use, member only hours, guest privileges, use of the fitness center and much, much more. Click here for more information on becoming a Member. Please sign up for the SBTC E-Newsletter by clicking here!